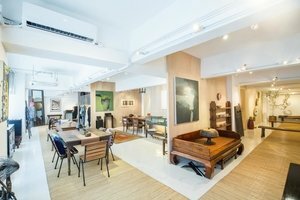 This 3000ft gallery/atelier is situated in the private area of Aberdeen is an ideal venue for a Private Sale or Exhibition. 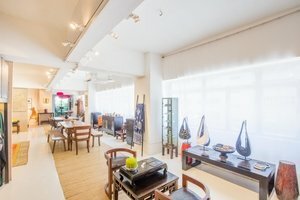 This spacious gallery has an opulent feel with welcoming windows which allow plenty of natural light into the gallery, creating a bright ambience. 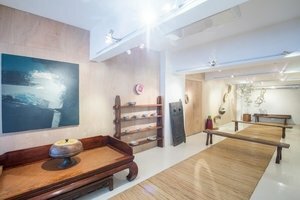 This fashionable gallery is chic with opulent interiors of wooden floors and white walls. 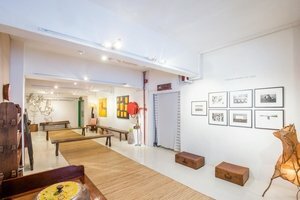 With sleek windows and a luminous atmosphere, this gallery is well-equipped for Private Sale with garment racks, furniture and air-conditioning. 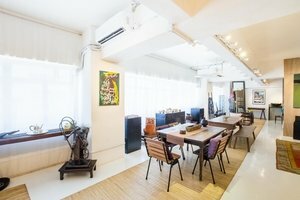 Advantageously situated in the quiet area of Aberdeen close to a shopping mall and MTR station, this gallery is in a prime location. 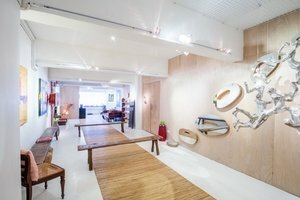 It is an exceptional opportunity in a highly sought after area and perfect for brands and startups to gain exposure.